One way to get around arranging for a skip permit is to hire a wait and load service. We have a popular service where we wait and load in Sydney, as well as other areas in Sydney, taking the rubbish away and disposing of it too. This is especially useful on busy roadsides, where you need a skip but don’t have anywhere to put it. We can conveniently come and wait while rubbish is loaded onto the vehicle, and then take it away. This is a great way of getting around parking restrictions and skip permits. We have the expertise in a wide variety of rubbish removal services across Sydney, and we are able to carry out all our services in a quick and convenient manner. 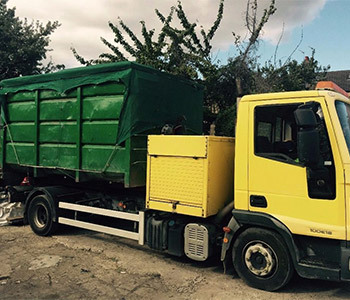 We are able to collect and dispose of all your household junk, builders waste, or gardening rubbish – all in a wait and load capacity, which is ideal for homes, commercial outfits, and businesses in busy and built up areas. Our Sydney wait and load service is not only to be used as an alternative to skip parking, it is also useful where you have the rubbish ready and waiting, and just want to load it up and have it taken away, rather than hire a skip and have it sitting there. Whether you are a business, organisation, or homeowner, we can undertake the Sydney wait and load service job for you. This is a great option to take that gets the job taken care of there and then, with the rubbish disposed of immediately. Get in touch with us for a free no obligation quote for wait and load in Sydney. We are always happy to answer questions and see how we can help out existing and potentially new customers.